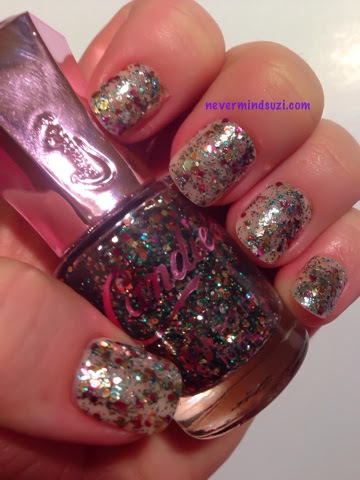 Here we have another Candie's Polish - Over The Rainbow. I'll start by saying I found the name odd as it's not very rainbow-esque. This was £2.50 in Primark. I'm wearing 2 coats of this over peach Allure press-ons. This is a pretty glitter and I don't think it's like anything that I have. I'd like to try it over a darker base.